Saggy face skin can be caused by a number of factors, the most common of which being the natural ageing process. Over time, the natural reduction in collagen and elastin levels occurs, removing much of the structural support our skin relies on. Saggy face skin can also be caused or exacerbated by exposure to UV light, lifestyle habits such as smoking and our genetics. Those affected by saggy face skin may find their confidence and quality of life impacted by what may be a premature sign of ageing.. Contrary to popular belief, saggy skin tightening in London doesn’t have to mean going under the knife. In fact, some of the most popular saggy skin tightening treatments ever devised are comprehensively non-surgical in nature. Here at HSA Dermal Clinic, we provide the most advanced treatments and solutions for a wide variety of common skin conditions and complaints – all 100% free from invasive surgery. From our cutting-edge clinic at the heart of London, we offer effective and accessible alternatives to traditional cosmetic surgery and invasive face lifting. We use the latest advances in skin resurfacing and dermal filler technology to replicate the results of traditional face lifts, with absolutely no surgery required. Our innovative and dynamic approach to saggy skin tightening in London has earned us an unrivalled reputation among clients and clinicians alike. 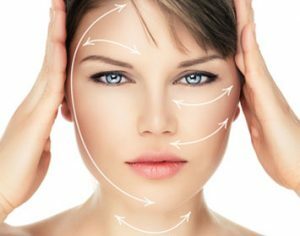 For more information on non-surgical approaches to traditional saggy skin tightening techniques, contact a member of the HSA Dermal Clinic team today.